If you're paying attention to the tech media, you've probably heard a lot of the doomsday prophecies around artificial intelligence. A lot of it is scary, but despite some valid concerns, AI is doing a lot of good. 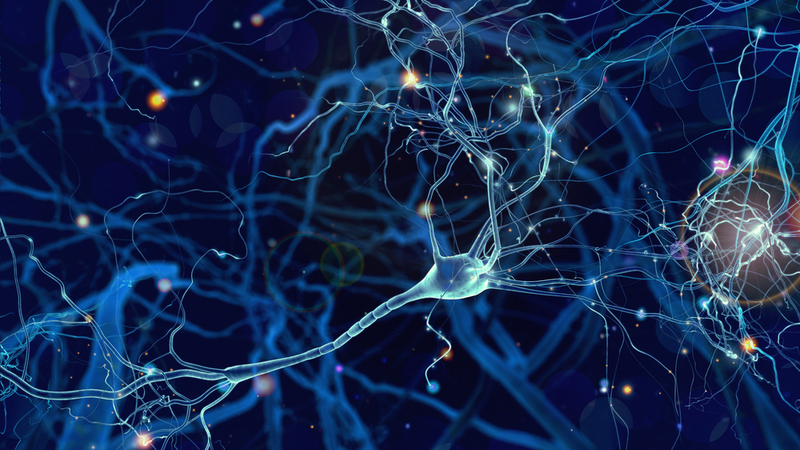 Medical treatment, reduced traffic jams, faster disaster recovery, and safer communities – it’s all coming your way, thanks to the tremendous power of neural networks. Check out this list of pioneering technologies for good. For years we've talked about preserving these precious habitats yet real progress always seemed to be just out of reach. Unsustainable logging and widespread deforestation have devastated pristine natural spaces, and too often, we feel like there's little we can do about it. New artificial intelligence tools are helping. They are increasingly used to identify vulnerable landscapes, so that environmental programs can direct attention toward preservation. A San Francisco-based nonprofit Rainforest Connection configures old smartphones to monitor sounds and installs them in the rainforests. The sound data is used to train machine learning algorithms to identify the threatening sounds of a chainsaw. Park rangers are alerted of suspicious activity in real time, helping to stop illegal deforestation. By quickly identifying signs of deforestation, government and environmental agencies are better informed on forest locations at immediate risk; they can then react, often by adjusting enforcement, regulations and penalties. New document surveying technologies leverage artificial intelligence to help us make sense of enormous amounts of data in both historical and government documents. Machine learning and artificial intelligence are revolutionizing the process of curation. AI document tools, allow historians and curators to take a more ‘hands-off’ approach in assessing large volumes of information, and make artifacts easily accessible to people. Countless historical handwritten documents sit on library shelves around the globe today, not readily accessible to researchers and academics in all countries. Digitizing these documents is the first step to making these records available. But it is impractical for a person to search through the immense catalog of information. That is, without machine learning. A Berlin startup, omni:us is training neural networks to generate transcriptions of word images in documents from a collection of over a billion documents digitized from libraries all over the world! Traditional techniques like individual researchers reading documents are failing to keep up with the exponential increase in new documents. AI systems that read like humans helps give us a big picture of what's in a large corpus, or body of documents. Neural networks are increasingly used to extract high-level information (such as subject matter), and temporal changes like how people, organizations and places interact over time. This extracted information enables effective search, organization and understanding of often billions of records. Studies have found that around one fifth of all Americans have some form of mental health problem or need mental health services in any given year. So how do we attack this epidemic and develop meaningful solutions through technology? Can you get better therapy from a smart robot? Understanding the value of artificial intelligence here involves looking at how these systems function. Back in the 1960s, the first chatbot named Eliza was developed at MIT. Eliza was developed to act as a “Rogerian psychologist,” taking in conversation and mirroring some of what patients say back to them. The code for ELIZA was not sophisticated. This artifact from Vintage Computer shows the program written in BASIC - it’s the classic simple chatbot, reading user input, applying some simple rules, and continuing the conversation with a reply to the user. Despite this simplicity, Eliza proved mesmerizing to users. So if something as simple as ELIZA could engage a user in conversation, how far can new machine learning tools take the conversation? Now, state-of-the-art chatbots like Andrew Ng’s ‘Woebot’ are offering cognitive behavioral therapy through improved conversational understanding. The chatbot uses natural language processing technology to process what the patient says and prompts them to talk through their feelings and apply coping skills, such as rephrasing a negative statement in a more positive light. This type of technology may be used in conjunction with seeing mental health professionals; perhaps people too reluctant to see a human therapist will be more open to “seeing” a virtual therapist. 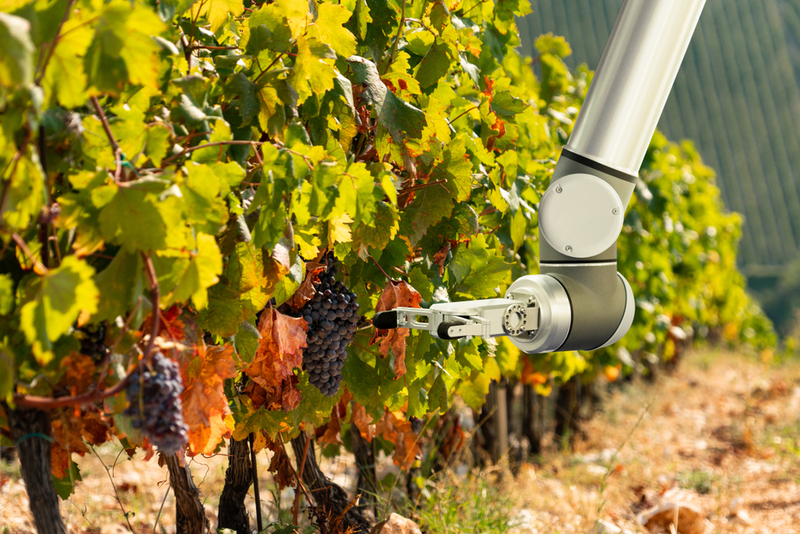 Artificial intelligence is helping us adapt to our changing world by examining crop yields around the world. Algorithmic crop yield tools can pinpoint crop projections with noteworthy accuracy. In this study from Stanford, we see remote-sensing data run through a convolutional neural network to provide a crop yield map that, when tested, produces excellent results. AI is used to show us where the land is most fertile, where dangerous conditions might exist, to forecast crop yields, and ultimately tell us where to plant crops. And it’s all contributing to feeding our planet. Agriculture is vitally important for our world, and natural foods are important for our health. Maintaining a low cost abundant food supply is essential for feeding humanity during consistent population increases. 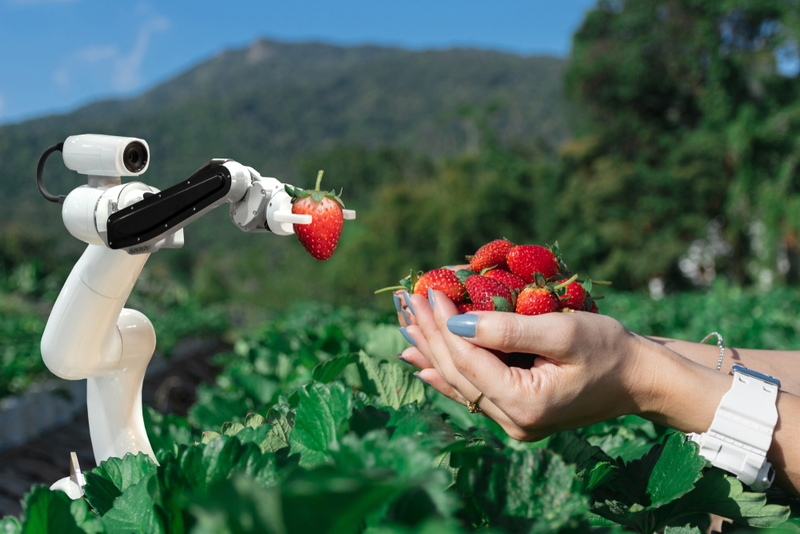 Farmers are now using machine learning tools and robotics to help reduce the amount of fruit and vegetables that go to waste in the fields. We've all heard sad stories of fruit rotting on the vine; grapes, apples and other crops remaining unpicked often due to labor shortages. We rely on foreign labor for much of our harvesting; this may prove unsustainable in the long run. 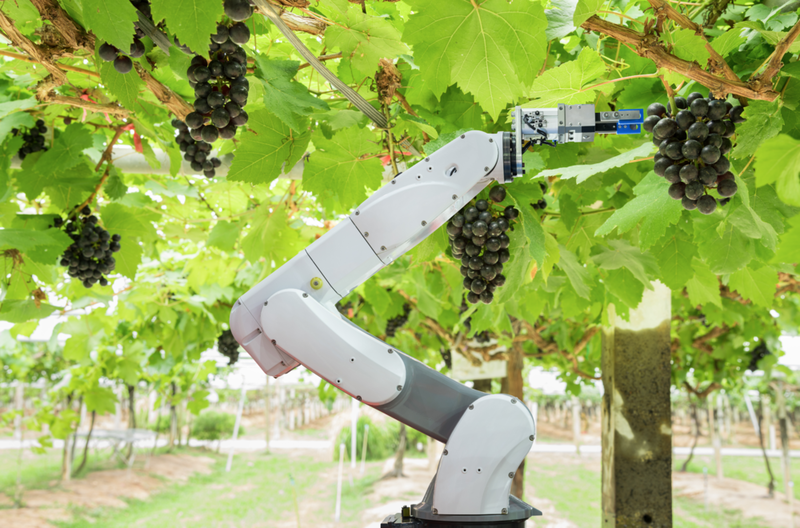 Agricultural robots like those from HarvestCroo use intelligent computer vision algorithms to automate the picking of fruits and vegetables. Also, consider Blue River’s “See and Spray” technology. See and Spray uses computer vision to provide individualized plant care, doing away with the technique of broadcast spraying chemicals in the crop fields. The new technology avoids spraying the actual crops and reduces the volume of herbicides used by 90%. It is optimizing the application of herbicides, and at the same time tackling the growing problem of weed resistance to herbicides. Feeding the world's increasing population is a challenge -- a challenge that AI technologies are helping address. We all know about autonomous vehicles, but what about traffic management? Artificial intelligence is contributing to many lesser-known advances in the transportation field. Let's start with smart traffic lights. If you're a municipal planner, you know that traffic lights cost a lot of money to put in place – and you know how important they are for public health and safety, as well as keeping traffic moving. Public planners see traffic as a kind of “biological” process – much like blood circulation in our bodies, traffic needs to move smoothly for a healthy road network. Smart traffic lights go a long way toward delivering that overall health and productivity in our daily lives, by reducing traffic congestion and waiting time at intersections, and the resulting pollution. Companies like Surtac produce artificial-intelligence driven adaptive traffic lights that respond to changing traffic conditions by the second. Sitting in traffic jams might someday be a thing of the past. AI is also showing promise enhancing the lives of patients with disabilities. For example, robotic technology is helping children overcome some of the traditional limitations that go along with cerebral palsy. MIT News illustrates some of the ground-breaking robotics at work. Therapy for CP is typically a slow process. A lot of cerebral palsy patients need more therapy than they are getting; they need more hours of training to improve particular muscle movements and range of motion. Therapy is expensive, and a shortage of therapists exacerbates this problem. The “Darwin” bot, made by scientists at the Georgia Institute of Technology, explores an alternative. The chatbot interacts with patients to help them improve their mobility over time. Like the modern mental therapy chatbots discussed above, Darwin takes in inputs and doles out praise for positive work. The difference is that here, Darwin’s not looking through a text lexicon to interpret what someone is thinking – the cerebral palsy therapy robot is looking for specific body movements that are indicative of patient progress. AI holds potential for training and healing our minds and bodies. Perhaps this is why much AI research is devoted to advancing healthcare, and why so many healthcare professionals are excited. We've already talked about some of the aspects of “smart cities”. Here’s another that’s on the rise: smart policing. AI tools can be used to serve as extra eyes and brains for police departments. Law enforcement officers around the country are readily accepting all the technology help they can get. If you've seen the television show APB, where billionaire Gideon Reeves astounds the local police department with his crime prevention app, you already know a little bit about how this might work. Companies like Predpol, the “Predictive Policing Company,” offer predictive policing tools with similar goals. Predpol decreases response times, relieves police officers of overtime shifts, and has been shown to actually reduce crime totals in municipalities. Technologies like Predpol use ‘event data sets’ to train algorithms to predict what areas may need more police coverage in the future. The company stresses that no personal information is used in the process – and, Predpol doesn't use demographic information either. Scrubbing these systems of demographic input helps to prevent the kind of discrimination and bias that makes people wary of using AI to “judge” people. In fact, typically they work knowing just the location, type and time of past crimes. Predictive policing is just one aspect of public administration, among many others, that benefits from an AI approach. It’s evident that education has changed significantly over the past 30 years. Education has moved from lecture-focused to interactive hands-on learning experiences, and from the use of physical to digital documents and interactive software programs. There’s been a change from a few monolithic teaching modalities to a vast world of innovative learning opportunities. Artificial intelligence is helping driving this change. Consider Brainly, a platform termed as the world's ‘largest social learning’ community that connects millions of students from 35 countries by facilitating peer-to-peer learning. The on-demand educational value of the platform is driven by algorithms that sort through a mass of data, filter content, and present it where it’s most useful. Also, check out how Thinkser Math is using groundbreaking AI to personalize math education. Tools like these are available for use in the classroom and at home. ML/AI advances provide insights into resource needs, predict where and what the next disaster might be, ultimately providing more effective damage control. Consider this article from Becoming Human where you can see “disaster recovery robots working overtime,” a combination of surveillance drones and mobile rescue robots helping with the aftermath of forest fires, earthquakes and other natural disasters. In addition, companies like Unitrends are pioneering systems that can help tell whether an event is really a disaster, or not. New AI technology can evaluate something like a power outage or downtime event to see whether it “looks like” a crisis or is just a fluke. All of this can prove critically important when it comes to saving lives and minimizing the tragic damage that storms and other natural disasters cause. All of this shows that AI is indeed benefiting our world. The down sides of Terminator like nightmares are mostly hypothetical, but the upsides are already a reality. Need help with an AI project that makes the world better? CONTACT us, we might be able to help.